At the direction of the president, U.S. forces conducted a cruise missile strike against a Syrian Air Force airfield today at about 8:40 p.m. EDT (4:40 a.m., April 7, in Syria). The strike targeted Shayrat Airfield in Homs governorate, and were in response to the Syrian government's chemical weapons attack April 4 in Khan Sheikhoun, which killed and injured hundreds of innocent Syrian people, including women and children. Note: The above U.S. Navy photo shows the USS Porter at sea. 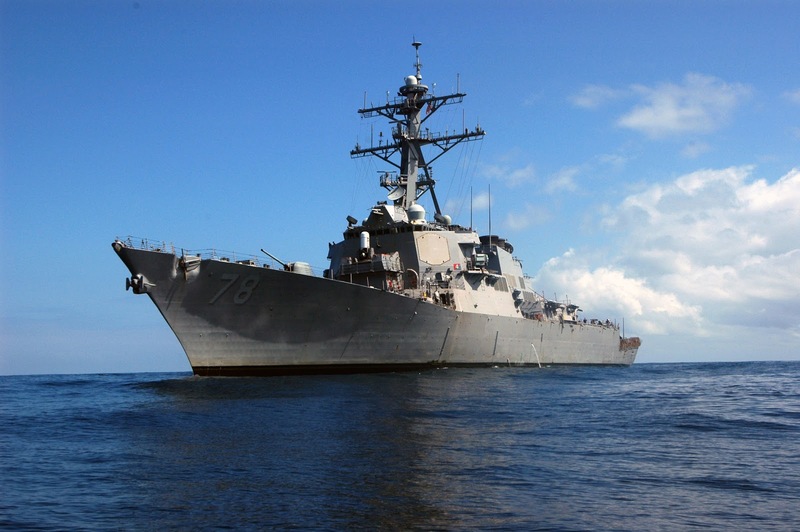 The USS Porter was one of the U.S. warships that launched cruise missiles against Syria.